Hey guys, we just wanted to officially introduce our company to your forum. Nelson-Rigg USA is a family owned and operated Powersports manufacturer celebrating over 30 years in the industry. 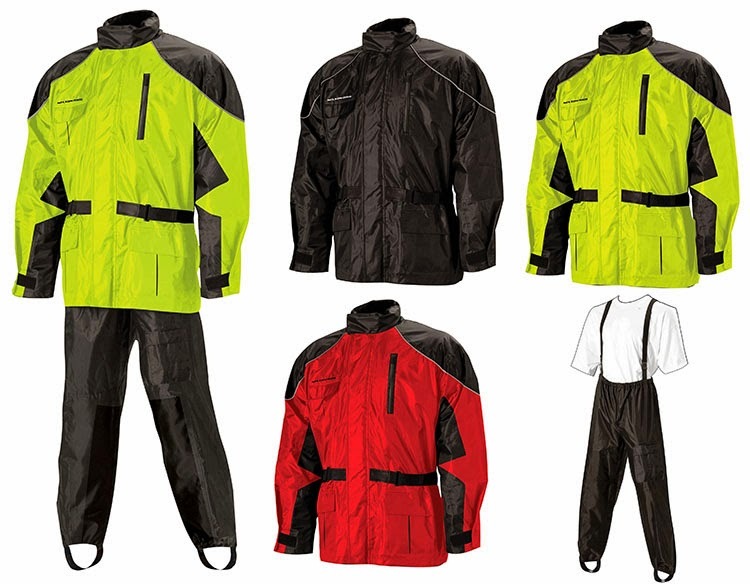 We specialize in many types soft luggage, 100% waterproof covers and rainwear. Main reason for starting a periodical blog is to help explain what we do, what new product and news we have, and to offer some useful motorcycle tips. Hopefully we can help you with your buying decision, show you what we have to offer, and explain why Nelson Rigg is a great choice. Here is a link to our 2014 online catalog. If you would like a hard copy, please just send us an email with your address and we can blast one out to you. Below are links to our social media pages. We also wanted to take this opportunity to explain some key points/changes/additions with our line. This year we are excited to be introducing a number of new products for you. Additions to our CL line up include the CL-2020 GPS Tank Bag with hi-tech features that touring, sport-touring and commuters have been longing for. The CL-890 Mini Saddlebags which replace our CL-900’s but with more features. Our CL-1045 Sport Adventure Tank Bag Slim is a slimmer version (for KLR 650’s and other middleweight dual sports) of our already popular CL-1050 Adventure Touring Bag. The CTB-1000 King Roller features a convenient roller system with hidden telescopic handle and smooth rolling wheels which that takes sissy bar luggage to a new level of convenience and ease of handling. The main bag is fully expandable and also airline carry on friendly. Our CTB-1050 Deluxe Tourer takes it styling cues from our King Roller but without the trolley system and top roll bag resulting in a very affordable price point for a sissy bar bag of this quality. The CTB-1010 Roll Bag is a roll bag that rocks, but doesn’t roll thanks to a wide flat bottom with a spacious load capacity. This can also mount to the CTB-1050 for the ultimate touring package. Touring riders will be delighted this year as we introduce the new GWR-1200 Rear Rack Pack for their top boxes and tour packs. The GWR-1200 replaces the always popular GWR-1000. Back by popular demand, we have added two new offerings for cruisers from our 100% Waterproof Survivor Series luggage. 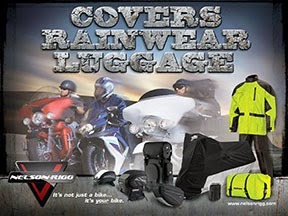 The SVT-750 All-Weather Survivor Luggage System and the SVT-250 All-Weather Survivor Roll Bag. We have introduced two ATV Covers sizes (LG/XL) to protect valuable ATV’s from natures harshest elements. Trikes seem to come in all shapes and sizes these days and to accommodate the new larger and wider designs we happily introduce two new products for Trike enthusiasts worldwide! The TRK-355 Trike Cover (fits Trikes up to 68” wide) and a new TRK-355-D Trike Dust Cover (fits Trikes up to 68” wide!). Designed to help all riders keep their personal travel items organized and as compact as possible, these Compression Bags are offered in three sizes (M/L/XL). Thank you again and happy riding! !